The best dancers in their year at the University of Chichester will be showing their skills as they bring their latest tour to a conclusion. They will be performing on Monday, February 5 in the Studio Theatre at 7pm and on Thursday, February 8 in The ShowRoom at 7.30pm, both at the university, on its Bishop Otter campus in Chichester. The students are working with three choreographers for the show. James Wilton premieres his new work Phase I, a technically-challenging piece offering precision and complex rhythmic and spatial structures. Abi Mortimer presents Zoots, Dash and Panache, drawing inspiration from iconic music artists that connect to the audience of the 80s; and Joe Garbett’s Codex-inspired work This The Better is promised as “a physical encyclopaedia of a world that is caught trying to fulfil an endless task”. The performance will also include an eclectic selection of contemporary dance, taking you from a party to an impossible function. The show comes from the university’s 3Fall, a non-profit dance company that has been running successfully for more than ten years. Based in Chichester, the company is comprised of final-year BA (hons) dance students who have been selected each year to form 3Fall Dance Company. The company also has a technical team behind it and the support of an admin team. 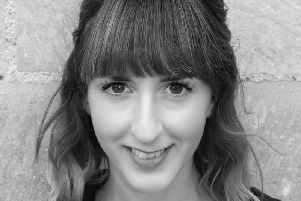 Emma Dickinson, who is part of the admin team, is hoping the people of Chichester will come along to support and to enjoy the high quality of dance on offer. As for the show, Emma is promising an hour and half: “The dancers are fantastic. The dances are really physical and really energetic. And the pressure will be on. All the students, on all the three teams, will be graded on their contribution. For the dancers the examiners will be looking at consistency and performance; for the admin team, it’s about getting the show out there; for the technical team, it’s all about the behind-the-scenes work which makes the whole thing shine.